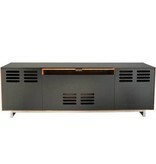 Cadenza Collection AV cabinet was audiophile inspired with the designer in mind. 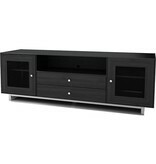 This is a fully-functioning rack system disguised as beautiful furniture for your living room. The CADENZA75 features 22RU capacity to provide easy installation of large AV systems. Smooth operating self-closing hardware will provide years of trouble-free operation. 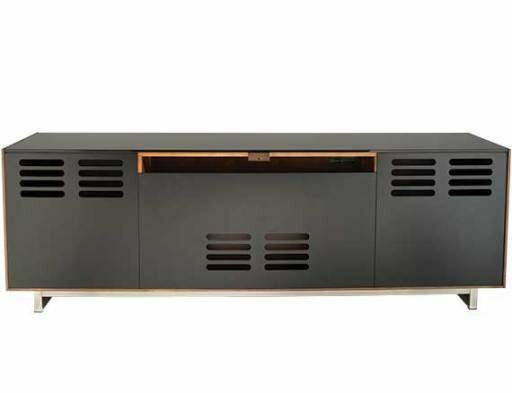 With the included, interchangeable hardwood and metal mesh door panels, enhancing component concealment or providing system cooling is a breeze. Easily manage cables with the built-in rails and wide pass-through access. Utilize the hidden storage compartment for concealing other small accessories and components. 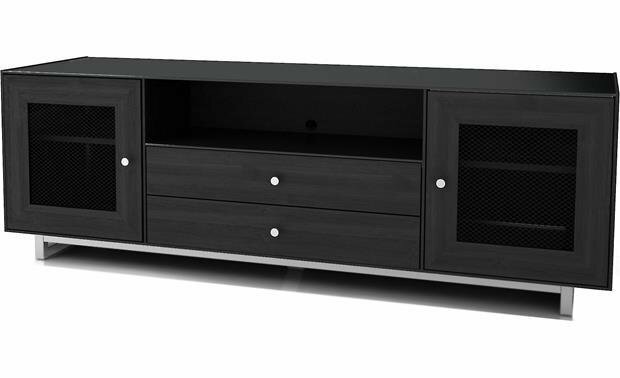 A large, configurable sound bar opening is designed to fit most sound bars and LCR speakers on the market (up to 73.5" / 186.69 cm wide).